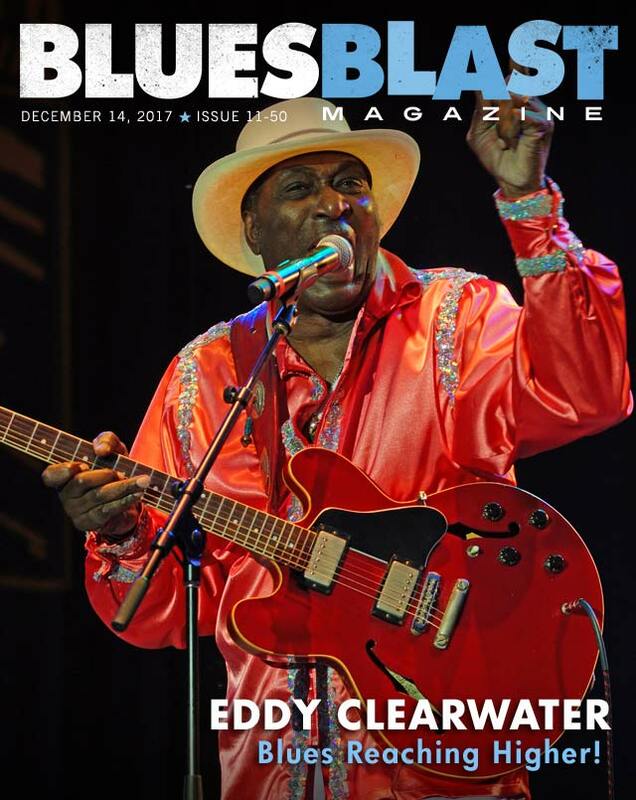 Bill Dahl has our feature interview with Blues legend Eddy Clearwater. 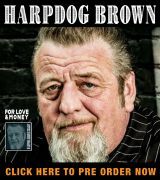 We have 10 Blues reviews for you this week including new music from Peter V Blues Train, Boogie Woogie Santa Claus, Tommy Castro and the Painkillers, John Stephan Band, Big Band Splash, Mick Kidd With David Blight, Chris Daniels And The Kings With Freddi Gowdy, BB And The Blues Shacks and Dusty Dave & The Heart Attacks . Our Fall Advertising Sale ends on tomorrow, December 15 and so does your chance to get our lowest advertising rates of the 2018 season. See our ad below to get 50% more for your advertising dollar before this great offer ends. For information on all of our great advertising options CLICK HERE. To get this special rate you must reserve your ad space before December 15, 2017. 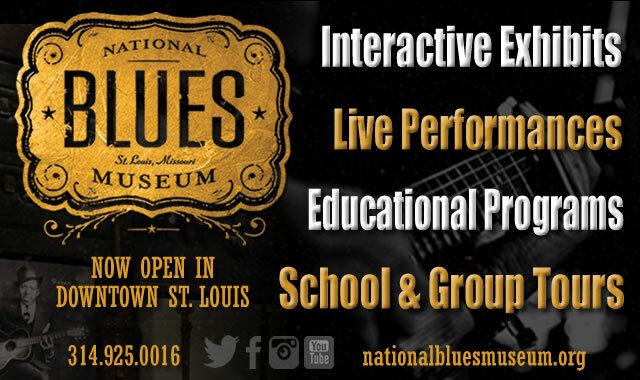 Ads can be booked to run anytime between now and October 30, 2018 for your 2018 Blues festival, album release or other music related product. 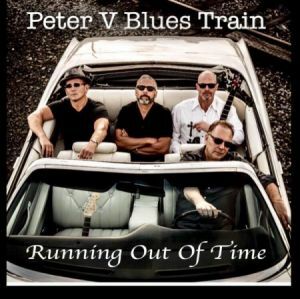 Peter V Blues Train picks up where they left off earlier in the year, pulling out of the station with a back beat to deliver another tasty blend of modern blues, jazz and funk with Running Out Of Time, the third release in their catalog since their debut at the International Blues Challenge a few years ago. 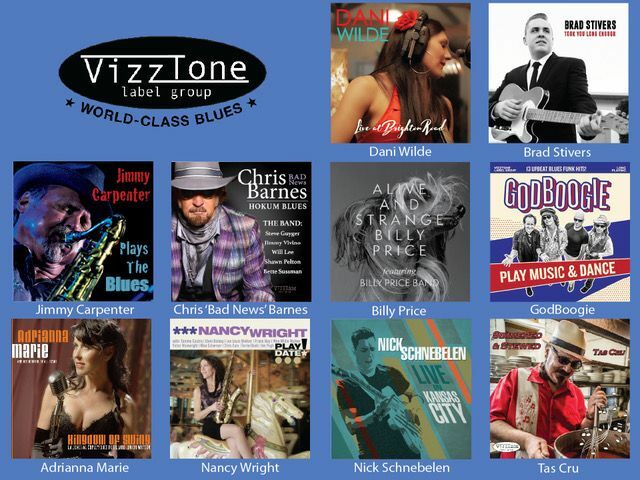 Already tabbed to represent the Jersey Shore Jazz & Blues Foundation as its representative to compete in the best self-produced CD category at next year’s IBCs, the band features Peter Veteska on guitar and vocals backed by several of the finest musicians in the New York metropolitan area. The four-piece unit includes Aron Louis Gornish on keyboards and a rhythm section composed of Alex D’Agnese on drums and Sean Graverson on bass. They’re aided by a pair of music heavyweights: Jeff Levine, the keyboard player who led Joe Cocker’s band and worked with Hall & Oates and The Chambers Brothers, and sax player Danny Walsh, who’s worked with Gregg Allman, Aerosmith and several jazz superstars. They’re augmented by Tom Adams (piano), Coo Moe Jhee (bass), Eddie Jackson (congas and vocals), Gary Neuwirth (harmonica) and Kelley Dewkett (vocals) for one cut each. 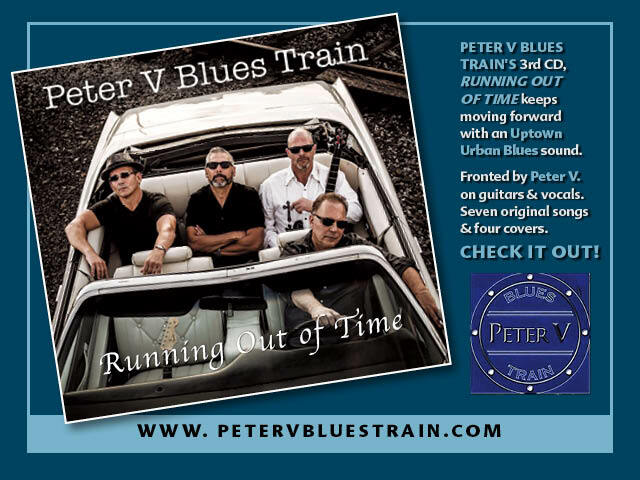 Dedicated to the memory of the late Michael Packer, founder of the regional Blues Hall Of Fame network and an early booster, this album was captured at Joseph DeMaio’s Shore Fire Recording Studio in Long Branch, N.J., and features seven originals and four carefully reconstructed covers. Levine and Walsh provide the brief intro to “Stay On Track,” a funky tune that puts a new spin about the need to stay on track despite all of the roadblocks that crop up in your path. Instead of two steps forward and one step back, this one finds Veteska’s strong, crisp vocals delivering lyrics that have you taking three forward and four back — but never losing sight of his goal. A cover of Richard Ray Farrell’s “Cherry On The Cream” swings from the jump as it sings praises of a lady who always knows how to treat the singer right before the music takes a turn toward jazz with the horn-driven “Buzzed Busted & Blue.” It quickly evolves into a slow blues that deals with the aftermath of a woman taking her own train and leaving him behind. Peter and the boys leaves Levine at the station for the remainder of the disc, but continue to pick up speed. First up, Big Maceo Merriweather’s 1941 classic, “Worried Life Blues,” gets a contemporary slow-blues treatment. Then the searing original blues-rocker “Running Out Of Time” delivers a complaint about a former lover who now only pisses the singer off. Veteska’s burning guitar work drives the anger home. 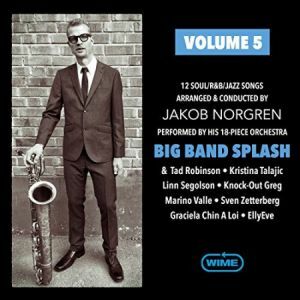 The band gets jazzy, funky and instrumental with Peter and Danny exchanging solos as the mood changes dramatically for “Time To Collect” before a steady-walking, modern take on Doc Pomus’ familiar “Youngblood,” a 1957 hit for The Coasters co-written by Jerry Lieber and Mike Stoller. Then the mood turns jazzy and acoustic for “Time For Me To Go,” the realization that it’s time to pack up and move on because the relationship is over. Another slow-blues burner, “Freedom,” features Veteska on the fretboard and serves as a follow-up to the tune that comes before as it questions the value of finally being free to miss a lady he still has feelings for. Dewket sweetly handles the vocals and Neuwirth makes his sole appearance for a cover of Bonnie Raitt’s “Love Me Like A Man” before “Lay Down My Friend,” a tip of the hat to Packer, brings the album to a close, aided by Jackson, a longtime member of Michael’s band. 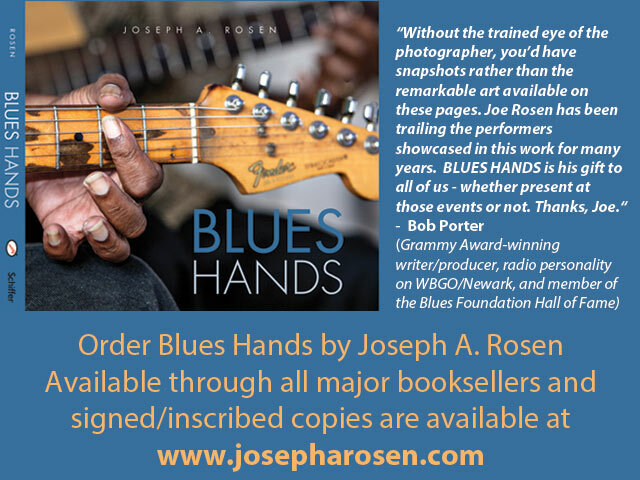 Available in select record stores in the New York metropolitan area or direct from the artist’s website (address above) Running Out Of Time may be a little difficult to obtain, but it’s worth the effort if your tastes run to contemporary big-city blues. 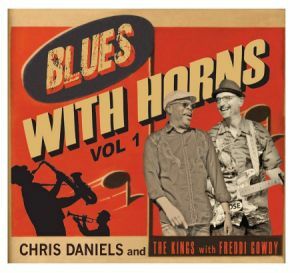 The crazy holiday season is upon us, and us blues lovers might be a little reluctant to have the soundtrack at our holiday party be the same old songs that everybody hears on the radio. There is a cool bluesy solution to this conundrum: Boogie Woogie Santa Claus, an R&B Christmas from Richard Weize Archives. This CD provides well over an hour of Christmas-themed entertainment that includes 29 vintage songs in a format that both you and your guests will appreciate! Richard Weize founded Germany’s Bear Family Records in 1975, and left the company in 2016 to focus on publishing historical material through the Richard Weize Archives. Richard’s private archive is huge and contains the mother lode of rare recordings. Richard and his crew research and re-master these songs, and issue them in compilations that include wonderfully complete liner notes. In the case of Boogie Woogie Santa Claus, an R&B Christmas, this results in a well researched glossy 72-page booklet with neat details about each of the tunes, including artist biographies, pictures, fun trivia, track personnel, and production details. This book would be fun to thumb through before your party so you can amaze your guests with your incredible grasp of arcane knowledge. This disc is well engineered, and there is some remastering that took place. From the overall sound and mix it is obvious that the tracks were all recorded decades ago, but all of them have a very clean sound with no hissing or popping, with the exception of the Orioles’ “(It’s Gonna be a) Lonely Christmas.” Maybe this song was really rough to start with, or maybe they just wanted to retain the vintage vibe on this sad old song. Also important is that the songs have a balanced volume so the output is the same from all of them. This is a huge benefit, as the listener will not have to fiddle with the volume control like they would if some songs were too loud or too soft – making it perfect for your party! Surprisingly, there are not very many of the usual Christmas songs to be found in the track list, but one of them earned the opening slot. Chuck Berry’s “Run Rudolph Run” from 1958 is exactly what the listener would expect, with a rip-roaring rock melody that is almost interchangeable with “Johnny B. Goode.” The real crowd favorite here is probably the Drifters’ superb 1954 rebuild of Irving Berlin’s “White Christmas.” It is hard to do better than Bing Crosby, but these fellows did the job and took the song all the way to #2 on the charts. There are also cheerfully rocking versions of “Rudolph, the Red-Nosed Reindeer” by The Cadillacs, “Silent Night” by Huey “Piano” Smith and the Clowns, and “Santa Claus Is Coming to Town” from The Harmony Grits. This leaves the listener with over twenty unique holiday tunes that are golden to the rhythm and blues enthusiast. The title track is from Mabel Scott, and 1948’s “Boogie Woogie Santa Claus” is a tight piece of jump blues with a sweet saxophone solo from Maxwell Davis. 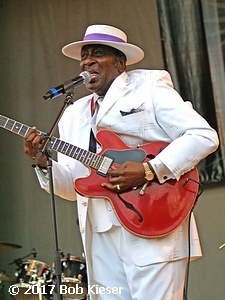 There is another tune from Chuck Berry in the mix, “Merry Christmas Baby,” which is a bit more maudlin than the opener and comes complete with a sweet guitar break from Mr. Berry and wonderful piano from Ellis “Lafayette” Leake. The remainder of the set list reads like a “Who’s Who” of pre and postwar artists, including folks like Amos Milburn, Jimmy McCracklin, Jimmy Witherspoon, Solomon Burke, Roy Milton, and the Moonglows. 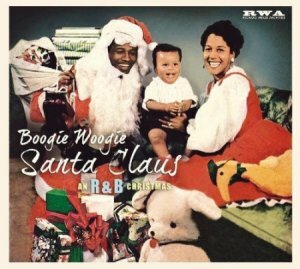 Boogie Woogie Santa Claus, an R&B Christmas is really cool collection of vintage rhythm and blues from a diverse collection of artists, and chances are really good that you have not heard all of these songs before. If you are looking to pick up a copy, it can be ordered directly from Bear Family Records though their website. It might be a good idea, as this is the perfect time of year to mix up a batch off eggnog and listen to these fun tunes! One of the best things about being a columnist for this magazine is when I see that “one of mine,” an artist I’ve reviewed in the past, has released another album. The icing on the cake comes when their new CD equals or surpasses the previous one. Mojo, the sophomore offering from Al Corte’ (formerly Corte’), should be called the “Million Musician Masterpiece.” Okay, so there aren’t really a million musicians performing on it, but the full list takes up more than half a page and both inside panels of the CD’s dust jacket. Some people might be reminded of a movie starring so many A-list actors that it’s sure to be a turkey, but not this. Listeners will gobble up these twelve original songs and give thanks for such an uplifting repertoire. Vocal fox Al has served up a feast with all the trimmings when it comes to funk, soul, and blues rock. And now for the moment you’ve been waiting for – The List. Dramatis Personae. The Players. (Whew!) Now that I’ve presented all the performers, let me describe one of their best songs here. 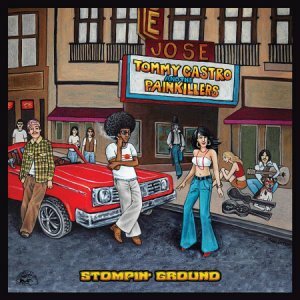 Track 04: “I’ll Never Lose My Love for the Blues” – One of the best blues-rock songs of 2017, this is a stomp that crushes all the others I’ve heard during the year. “Well, I might lose my woman. I might lose my car. I might lose my house and my backyard. I might be overdrawn. I might be underpaid. I don’t need salvation, ‘cause I’m already saved. 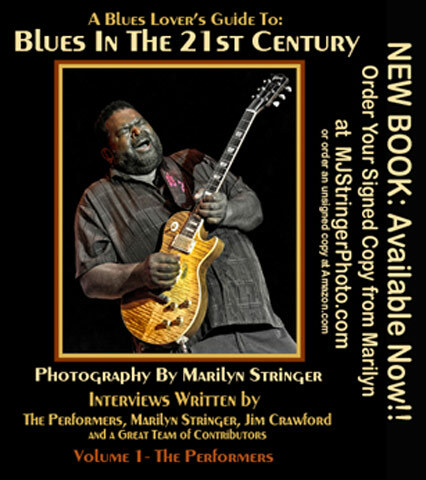 I’ll never lose my love for the blues!” Brad Webb’s slide guitar is a nuclear bomb, vaporizing lesser solos in a flash. Also killer is Leroy “Flick” Hodges, Jr.’s bass, thumping and begging for a subwoofer’s magic touch. 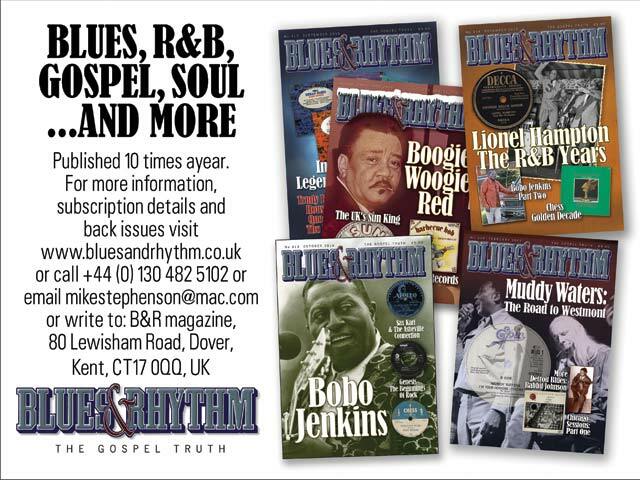 Want to add another Best of the Year to your blues collection? 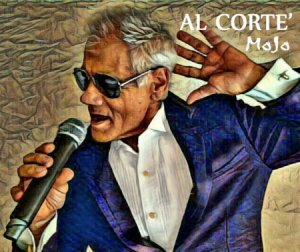 Acquire Al Corte’s Mojo! 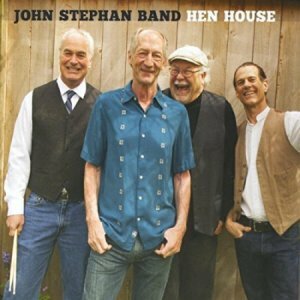 Hen House is the first release from the Seattle-based John Stephan Band since 2010’s Know Your Driver, although Stephan’s own discography dates back to 1982. With eight tracks written by Stephan himself, together with two updated reinterpretations of Charlie Patton classics and one off-the-wall pop cover, Hen House is an impressive and enjoyable modern guitar-led blues/roots/rock release. The John Stephan Band comprises Stephan himself on vocals and guitars, Marty Lockwood on drums, Tom Roesch on bass and Steve Flynn on keyboards. 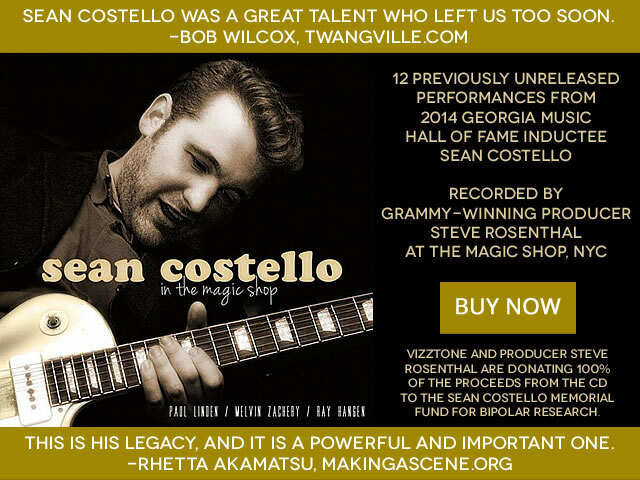 Their collective years of experience are apparent from the upbeat opening shuffle of “Who Made That Rule?” with Lockwood and Roesch’s solidly swinging rhythm section underpinning Flynn’s rolling piano lines and Stephan’s edgy, overdriven Telecaster. Interestingly, for a bunch of NW-based musicians playing American music, at times the band actually sounds British (or Irish). Partly this is due to Stephan’s half-sung/half-spoken vocal style, which recalls the likes of Mark Knopfler, Richard Thompson and other Brits (who were of course trying to emulate their trans-Atlantic cousins). Partly it is due to Stephan’s song-writing and guitar-playing styles. The chorus of the rolling rock of “Fast Track”, for example, has echoes of Dire Straits’ “Water Of Love”, while the choppy rhythm guitar parts and vocal melody of “The Fox” are reminiscent of Wilko Johnson and early Dr Feelgood. Stephan’s slide playing also recalls Rory Gallagher at times. None of which is meant as a criticism – more a reflection of the edge that inhabits the music. Stephan is a whip-smart guitar player, laying down a variety of different tones and textures throughout Hen House, particularly on slide guitar (check out his gorgeous vibrato on “Holed Up”), ably aided and abetted by Flynn’s keyboards, from the floating organ of “The Fox” to the frolicking piano of Charlie Patton’s “Banty Rooster Blues” – the piano’s absence from the first verse makes its later appearance all the more effective, lifting the song to another level. While “Banty Rooster Blues” is played as a straight, slide-driven 12-bar blues, the other Patton cover on the album, “Prayer For Death, Pt. 1”, opens with shimmering slide guitar that owes as much to Sonny Landreth as it does to Patton, with beautifully restrained backing from Lockwood, Roesch and Flynn, before slowly picking speed and energy as the song develops into a dancing instrumental. The most surprising cover on the album, however, is Sonny and Cher’s “I Got You, Babe”, which is transformed from a vapid 1960s pop song into a West Coast swing number with a cool descending chord progression at the end of each verse and a catchy guitar/organ harmony lick in each chorus. The majority of songs on Hen House are mid-paced foot-tappers with the sole ballad being “I’ve Cried For You” with more lovely keyboard work from Flynn. 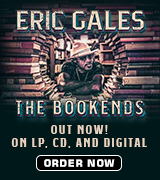 This is blues-roots-rock dancing music that will work just as well as driving companionship on a long road trip. Well worth investigating. 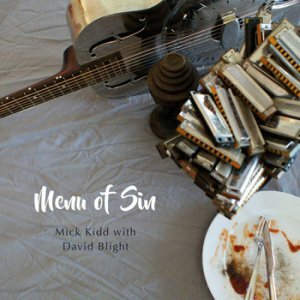 Singer/guitarist Mick Kidd and harmonica player David Blight are a familiar pairing in the blues scene of southern Australia and follow up on their well-received album, Winter Sun, with this interesting collection of what Kidd terms “slidin’, stompin'” acoustic blues. The mood brightens for another propulsive number, “A Waste Of Time Well Spent,” which begins as a coming-of-age tune and progresses into a search into the future. The tempo picks up dramatically for the southern rocker “Heaven, Hell Or Harrogate” before the instrumental “Going Home” brings the action to a close. 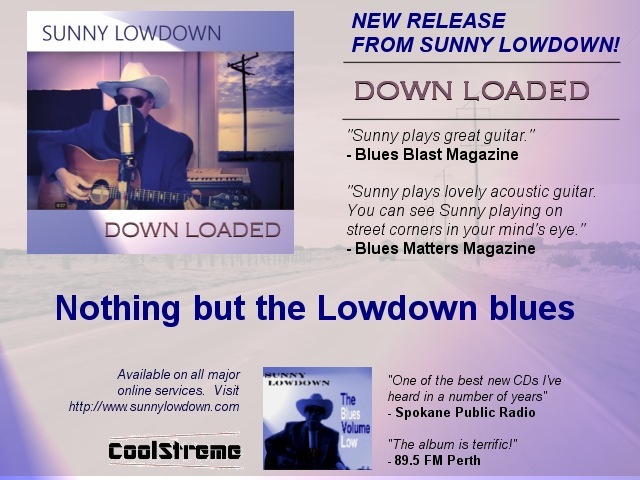 If you’re a fan of modern acoustic blues and looking for something different, this might appeal to you. You can buy it or download it through http://mickkidd.bandcamp.com. This German band has absorbed the essence of the blues and infused it with a new energy. It’s all good, but the shining star here that can’t be ignored is the super-charged harmonica ace Dynamite White. His wild force on the Mississippi saxophone can’t be contained. Dusty Dave’s rough hewn voice is perfectly suited to the songs contained here. 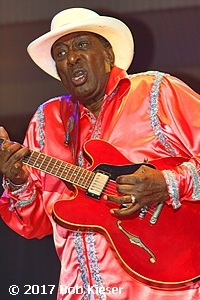 Lucky Steve’s guitar is spot on whether it be Chicago blues, jump blues or other. He can conjure up that crude sound of some of the earlier players when the need is there. Rockin’ Bende’s drumming is as authentic as all get out. The use of the upright bass of Ray Black harkens back to the early Chess recordings. At first shudder the band posing in stereotypical blues attire lead me to thing there is some hokey music contained inside. Oh contraire. That can’t be farther from the truth. The originals and covers breathe with a new life. 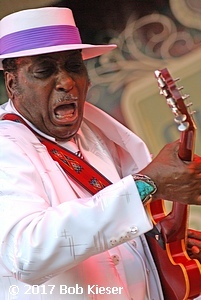 Chicago blues melds with jump blues on the hard driving “Candyman Boogie”. Driving harmonica battles it out with the guitar and we get our introduction to Dusty Dave’s husky and commanding vocals. 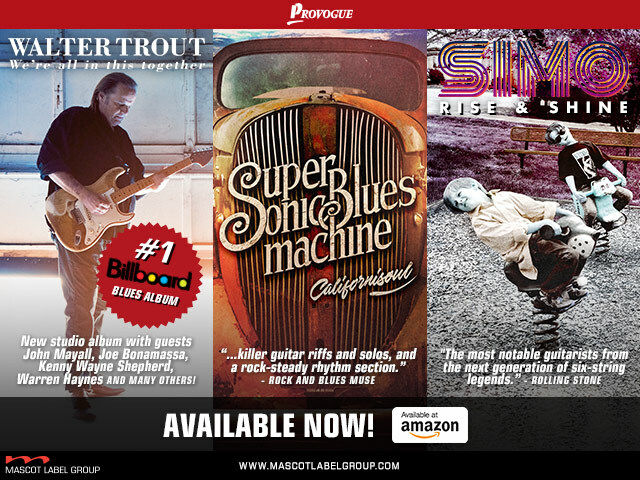 Rockabilly tinged blues is the stuff of “Good Rockin’ Mama”. Here as elsewhere Dynamite White’s command and sureness of his harp playing is truly a marvel. 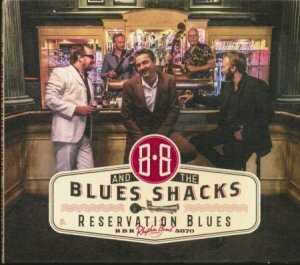 The blues-rockabilly groove shows up again on “Come Inside”, a song that sports a relentlessly good riff. 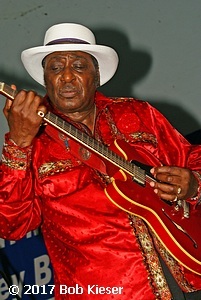 Slide guitar powers the hard driving Chicago blues of “Worried Mind”. Chuck Berry-ish guitar kicks off “Tough Enough”, a song that chugs along quite nicely with piano way down low in the mix. Lucky Steve plays his guitar in a crude manner that is authentic to purveyors of old time blues on “Champion Of the Blues”. It contains the only German reference with “I’m the Kaiser of the blues”. 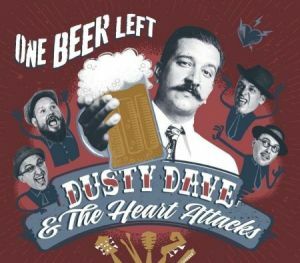 The band handles a hard boogie with ease on the title track “One Beer Left”. Speed freak slide guitar and harmonica make “Ride & Roll” fly right by before you notice. The traditional “In My Time Of Dying” sometimes called “Well, Well, Well” is rearranged and slowed down here. The upbeat “Love-Hate” contains the ominous lyric “She had no chill, she just wanted to kill”, sounds like a dream date. 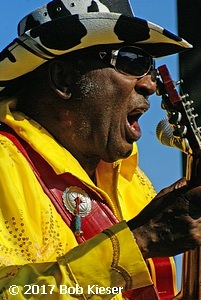 Slapped bass underscores the hot slide and harmonica groove of “Big Mouth”. Slim Harpo’s “Hip Shake” is interjected with new life in the hands of The Heart Attacks. I can’t get enough of Dynamite’s infectious harp blowing. No idea what it’s about, but “Dead Cat” sounds mysterious enough. The jump blues instrumental “Rocker” closes out the show in grand style and short but sweet at just a tad over two minutes. It’s a heart warming thing that authentic but not museum piece blues seems to be emanating from disparate parts of the globe. 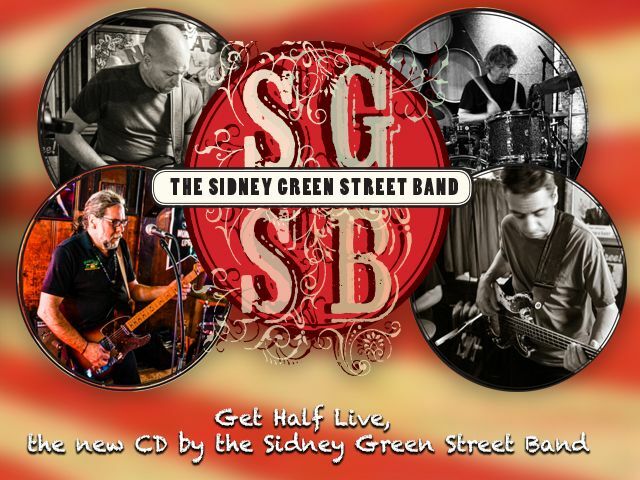 This band takes the roots of blues and turns it into something fresh and invigorating. I sure hope Dusty Dave and crew keep their high quality blues thriving. Blue Monday Schedule: Dec 18 The Mary Jo Curry Band. 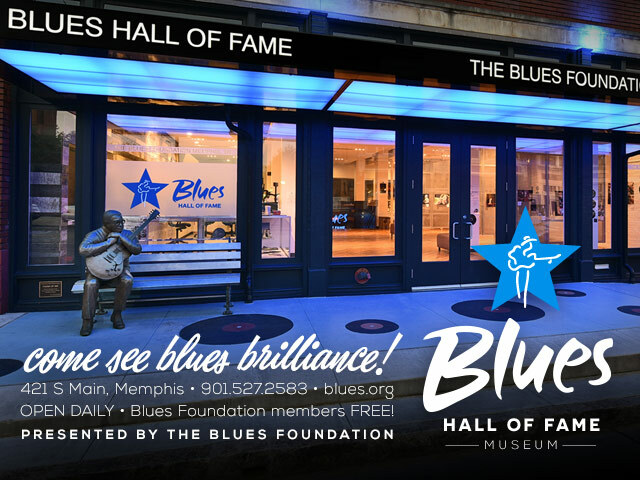 For more information visit www.icbluesclub.org.